If you follow news about higher education, you know that the value of humanities scholarship—the study of the arts, cultures, history, languages, literature, philosophy, and religion—is often called into question. Pummeled by busyness, technical challenges, health care costs, social injustices, employment insecurities, and environmental threats—who has time to explore the past or to delve into the art, languages, and literatures of the world? But humanities research doesn’t exist in a vacuum. Twenty-first-century humanities scholarship intersects and contextualizes research across campus. Humanities scholars use unique interpretive tools to investigate topics from gerontology to genetics, criminology to cancer, women’s rights to war, race-related violence to utopian futures. Humanities research asks how and why individuals, communities, and countries create meaning through the very human impulse to organize the chaos of life into stories. To find answers, scholars plumb archives, archaeological digs, museums, oral and official histories, poetry and novels, film, philosophical treatises, religious works, and more—the myriad documents and practices that structure societies over time and across world regions. Through hard study, rigorous questions and comparisons, deep reflection, and a willingness to question their own biases and limitations, humanities scholars ask us to confront where our histories are distorted or exclusive, when words and images become weapons, and how we can harness the imagination to move forward. But let me share a few stories of our own University of Iowa faculty members and their research to show you what I mean. As director of the Obermann Center for Advanced Studies, I work every day with humanities faculty members and students whose research engages with new technologies, the so-called “wicked problems” our world faces, and even with policy makers. The Walt Whitman Archive, co-directed by English professor Ed Folsom (and English professor Ken Price at the University of Nebraska), was one of the first major digital humanities projects and is still a global gold standard. The project draws on biography, literary analysis, photography, and the arts to address tough questions about sexuality and racial conflict in the U.S. as well as aesthetics. Folsom and Christopher Merrill, director of the International Writing Program, engage a worldwide public in their research through free online courses, most recently about Whitman and the American Civil War. Philip Lutgendorf, professor of Hindi and modern Indian studies and president of the prestigious American Institute of Indian Studies, also has an international following. He researches and translates ancient texts, like the Ramayana, that play a critical role in South Asian culture and political struggles today. He was a featured speaker at the January 2016 Jaipur Writing Festival. History professor Colin Gordon’s award-winning book, Mapping Decline: St. Louis and the Fate of the American City, and the accompanying online mapping project shows how 100 years of urban policies squeezed African-Americans out of property, access to schools, and opportunities for work. After the shooting of Michael Brown in Ferguson, Missouri, Gordon’s research on the long history behind this tragedy drew attention from international news teams, criminologists, politicians, urban planners, and African-American community leaders. Deborah Whaley, professor of American studies and African American studies, offers a very different perspective on African-American experience in her book Black Women in Sequence: Re-inking Comics, Graphic Novels, and Anime. Like English professor Brooks Landon, an international leader in the study of science fiction, Whaley investigates the impact of popular culture. Her research shows how black women have taken control of their own images in comics while Landon’s research and teaching have inspired generations of students to read science-fiction novels. These novels are often brilliant thought experiments that anticipate issues we’ll face—from cloning to terraforming other planets—in the near future. Arguments about immigration law have taken center stage in the present presidential campaigns and here in Iowa, and humanities researchers are at the forefront of the conversations. Claire Fox, professor of English and Latina/o studies, and her co-editors will soon publish The Latino Midwest Reader, a groundbreaking co-edited collection built from years of research and collaboration. This fall, three UI humanities researchers, Lisa Heineman and H. Glenn Penny (both professors of history) and Glenn Ehrstine (German), will share their research about the impact of German immigrants on Iowa at a public symposium, German Iowa and the Global Midwest, that will bring international experts to campus. Their Mobile Museum exhibit will tour the state, and they’re also curating an exhibit at the Old Capitol Museum. With their students, these scholars have unearthed German-language newspapers silenced by World War I, accounts of German prisoners from World War II on Iowa farms, a legacy of German-inspired music and art, and a network of local beer caves. Penny discusses their project in a recent video. The contributions of these immigrants raise powerful questions for us as we contemplate current policies. Collaborations between humanities scholars and STEM scientists are becoming more common by the day. 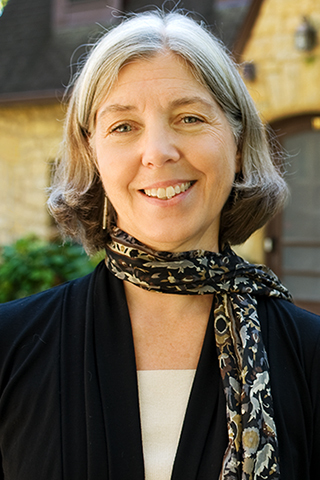 With the support from the Grinnell College/UI Andrew W. Mellon-funded Digital Bridges for Humanistic Inquiry grant, religious studies professor Diana Fritz Cates developed a virtual clinic with students from the humanities and nursing. In a safe space of virtuality, students’ avatars investigate how Cates’ research on the ethics of care can improve communication between clinicians and patients. Meanwhile, Barbara Eckstein, professor of English, collaborates regularly with Craig Just, a professor of engineering, and Eric Tate, professor of geographical and sustainability studies, on projects like The People’s Weather Map. With the help of the UI Libraries Digital Scholarship and Publishing Studio, these researchers are collecting Iowans’ stories of extreme weather events. The map will be useful to scholars, scientists, and policymakers, as well as to Iowans. These are just a few of the exciting research projects led by humanities scholars at the University. The next time you hear someone question the value of humanities research, remind them that we must keep asking what makes us human if we want to create a more just and humane world. These and many other examples right here on campus should help. To learn more about humanities research at the University of Iowa, visit the websites of the Obermann Center for Advanced Studies, Digital Bridges for Humanistic Inquiry: A Grinnell College/University of Iowa Partnership, or the websites of individual humanities departments.